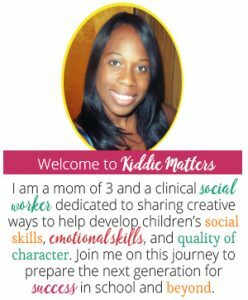 I’m always on the hunt for fun and engaging ways to teach kids about their feelings. Children experience a wide range of emotions on a daily basis. They are better able to manage their emotions when they can name and express what they are feeling. 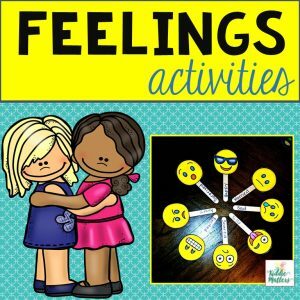 The activities and worksheets in this resource are designed to help young children recognize and discuss their feelings. Here’s what you will receive in this packet. 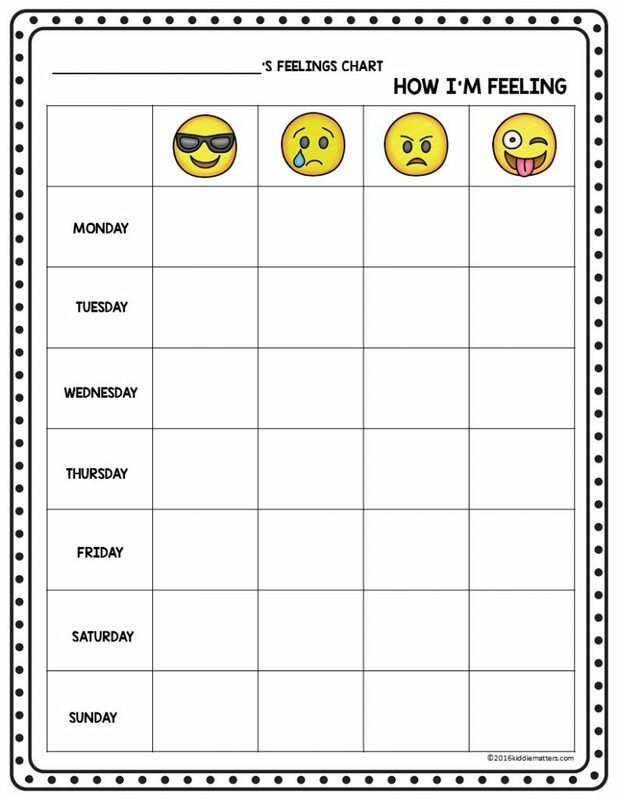 Children can use this Emoji Feelings Check Up worksheet to track how they are feeling. Since many children struggle with articulating their feelings, a feelings chart can help them express themselves in a non-threatening way. This worksheet is also in black and white. 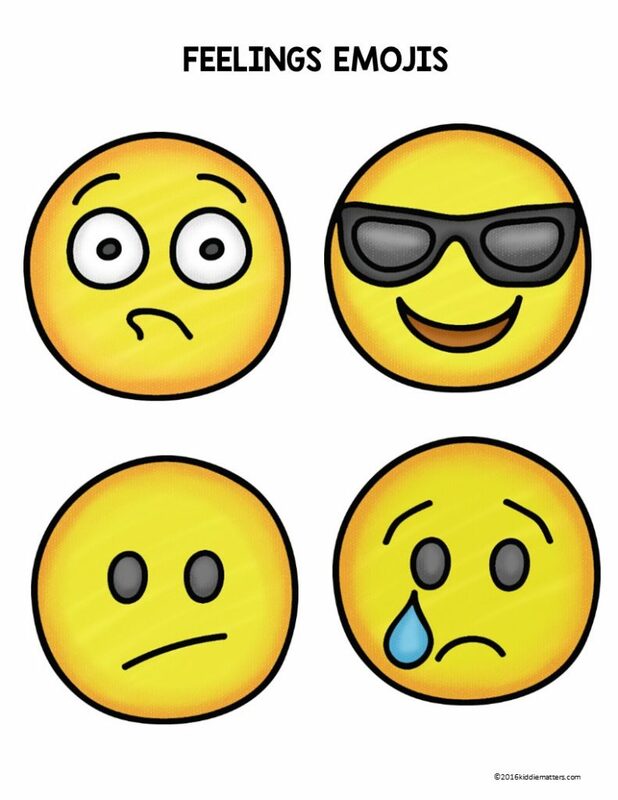 This Emoji Feelings Faces Chart helps children practice feelings recognition with popular emoji faces. (Available in black and white as well). 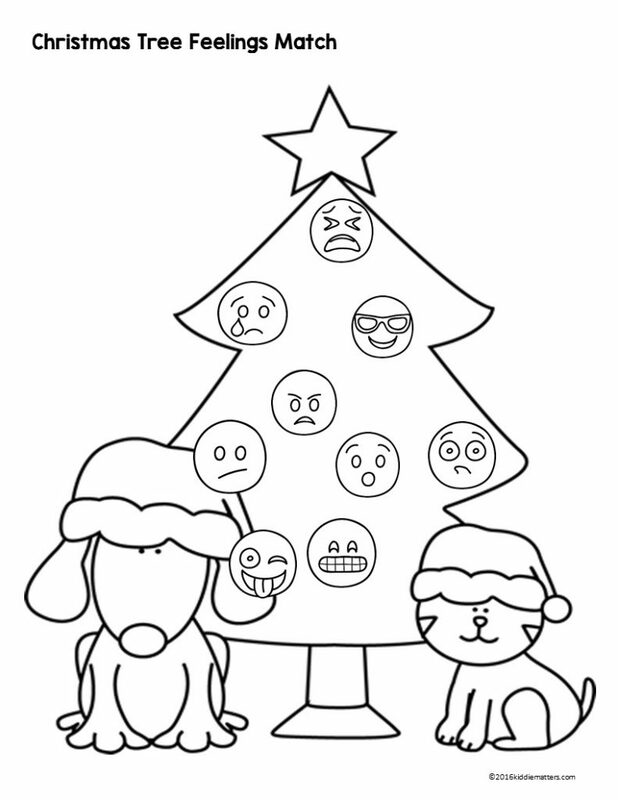 You will need Emoji stickers to complete the Emoji Feeling Faces Christmas Tree worksheet. You can find emoji stickers online at Amazon, the Dollar Tree, or at Five Below. 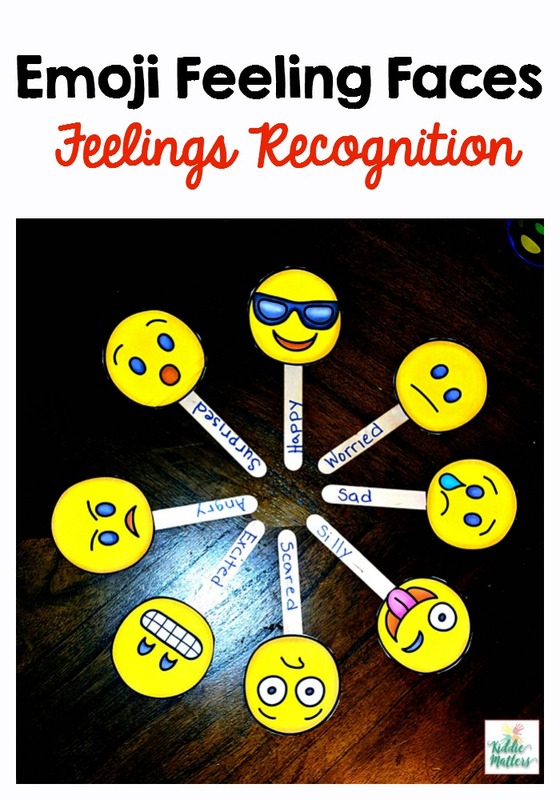 This is a great feelings recognition activity for the holidays! You can have kids randomly select an emotion and act it out while you (or other kids) try to guess the emotion they are acting out. You can also discuss hypothetical situations and ask them how it would make them feel. 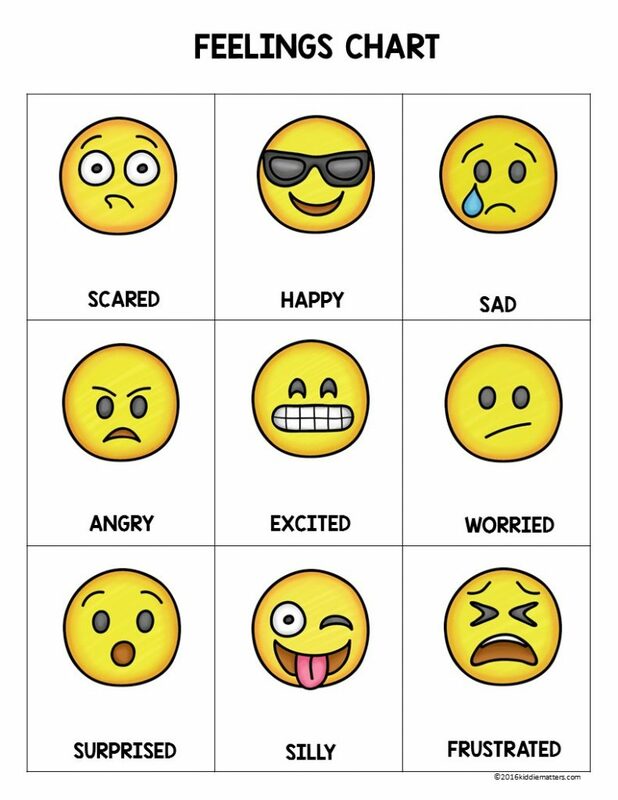 Additionally, you can use these as a means to check in on how kids are feeling. 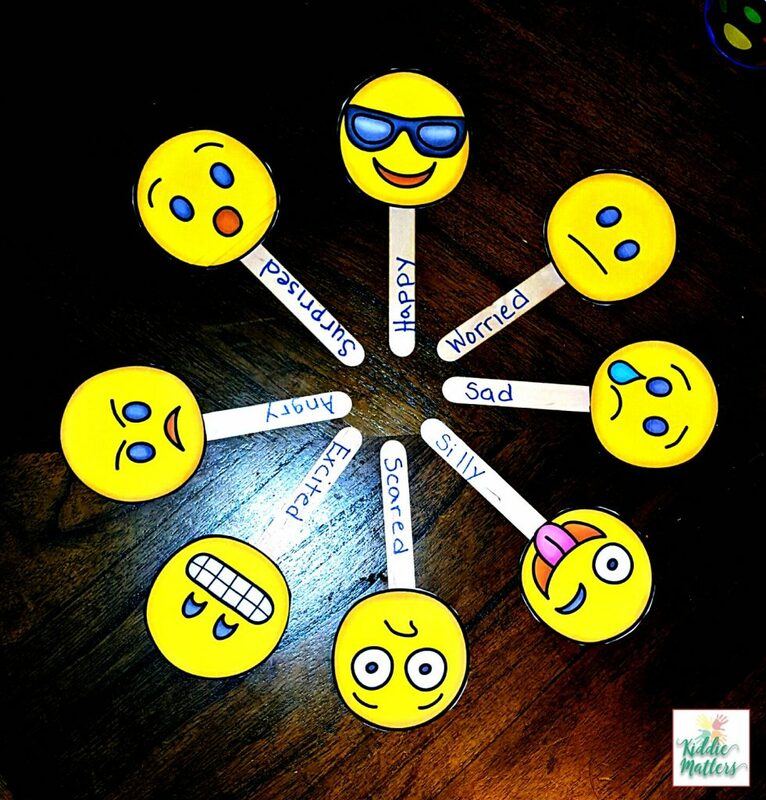 Don’t forget to download your free copy of Social Emotional Learning: Emoji Feelings Recognition Activities from my Teachers Pay Teachers store! This is such a smart idea! I’m going to be sharing it. Thanks for the wonderful post! Thank you! It’s been so useful for the kiddos. I was wondering if it would be possible to use your feelings chart as part of a qualitative research study with children. If you email at yantzir@mcmaster.ca I can explain what we are hoping to do. Thanks!